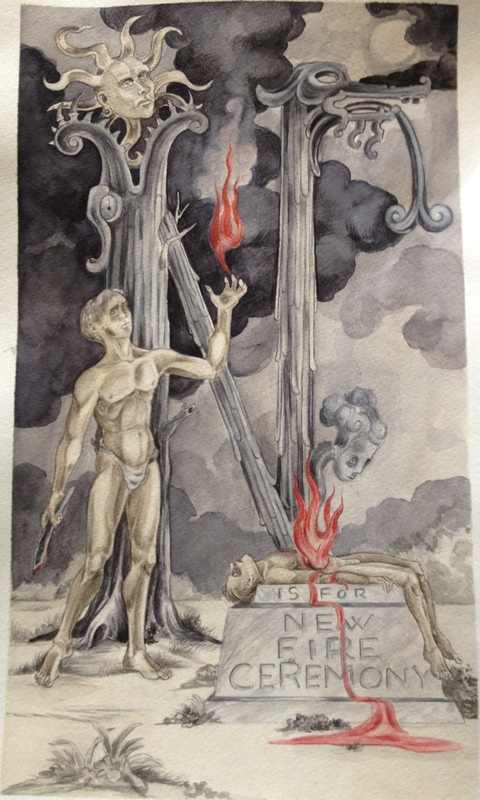 At last another entry for my Primer of New Spain, “N” for the New Fire Ceremony. 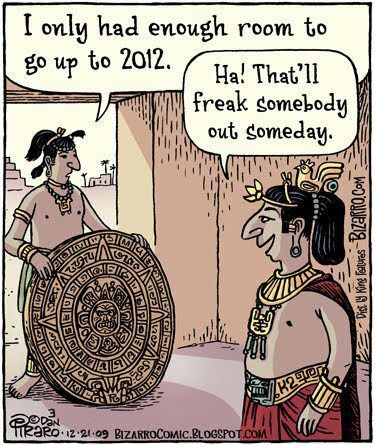 The end of the Aztec “century”, every 52 years was a precarious time, one full of tremendous trepidation. In the period of 7 “centuries” four major disasters occurred ; it was of great significance to the Aztec that the New Fire Ceremony succeed . 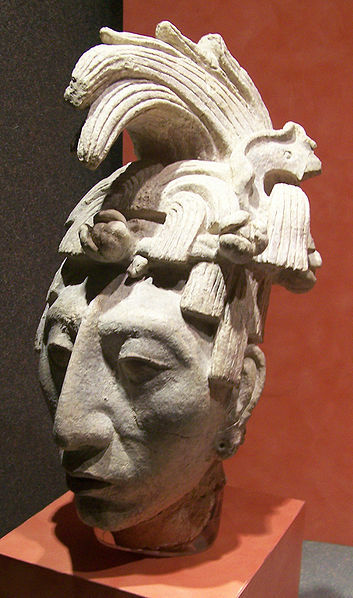 After all flames within the kingdom were extinguished, the ceremony was performed south of Tenochtitlan at Huixachtlan, the Hill of the Star. The nocturnal ritual entailed the usual human sacrifice; but after the removal of the unfortunate victim’s heart, the priest kindled a new flame from a drill board placed in the chest cavity. 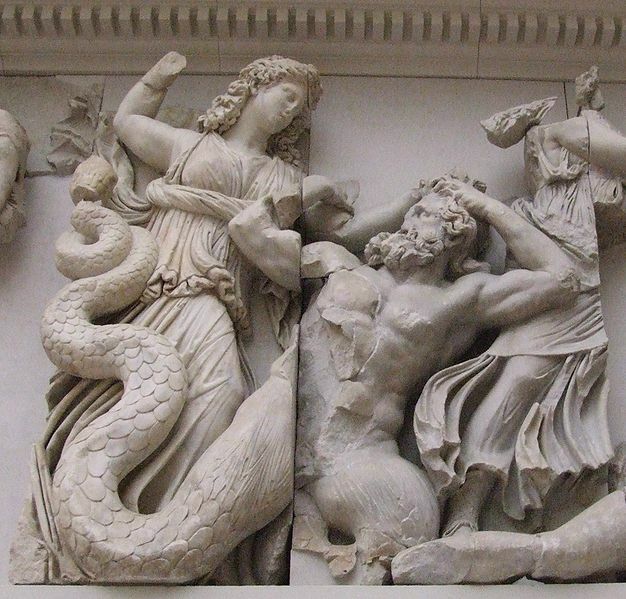 My interpretation depicted with my usual romanticism includes a youthful priest, the victim equally young; I am currently a bit obsessed with Cain and Abel; my Temple of Huixachtlan fashioned to vaguely resemble the letter “N”;my altar looks suspicioulsy Neo-Classical. All to be expected I suppose. It is interesting to note that according to Fray Bernardino de Sahagún the last New Fire Ceremony was held in 1507 during the reign of Motecuhzoma II; the eighth was scheduled for 1559 but by then New Spain was a firm reality and the Aztecs long vanquished. 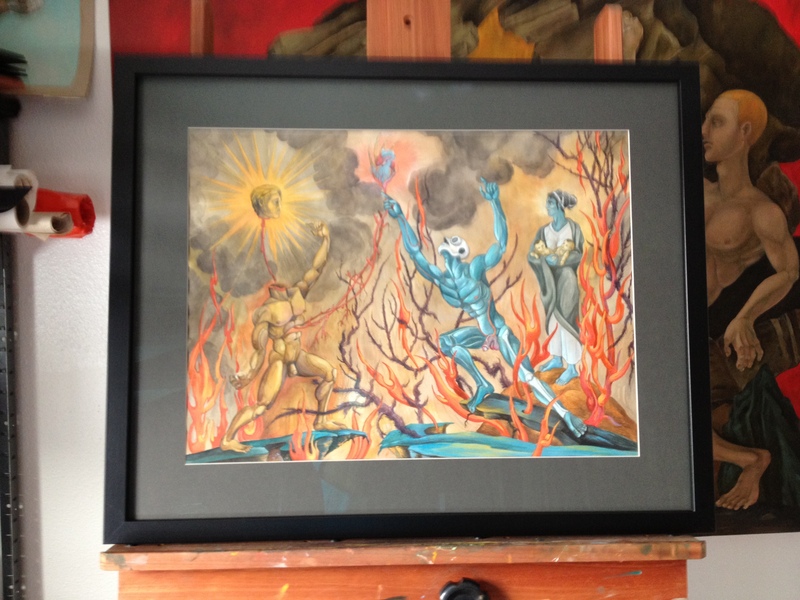 On another note my painting The Sacrifice of the Father: Recollections of the Popl huh I has been accepted in a group show at the Los Angeles based Brand Library and Gallery ;the exhibition, Memories , seems to have proven a suitable fit for my offering. This is the second year I have participated at the Brand, the exhibition is Brand 41 as there have been 41 exhibitions. My painting is now sitting in my studio freshly ( and unexpectedly expensively) framed. I will most likely not attend the opening ( a bit of a schlepp), but I am hand delivering the painting tomorrow . 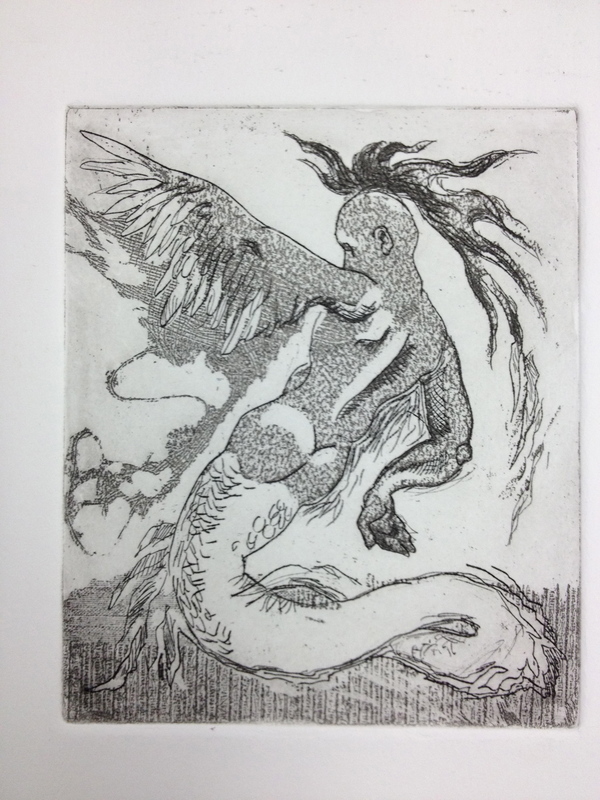 As I mentioned before I am taking a course in printmaking, so far we have focused on etching and its various methods. 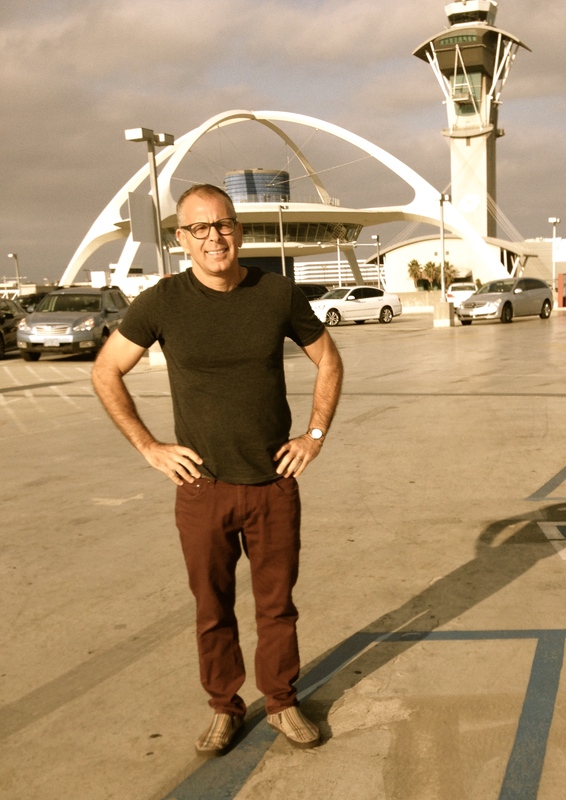 It is as many can imagine, very exciting, frustrating and humbling. But I am thrilled to be gaining this knowledge. 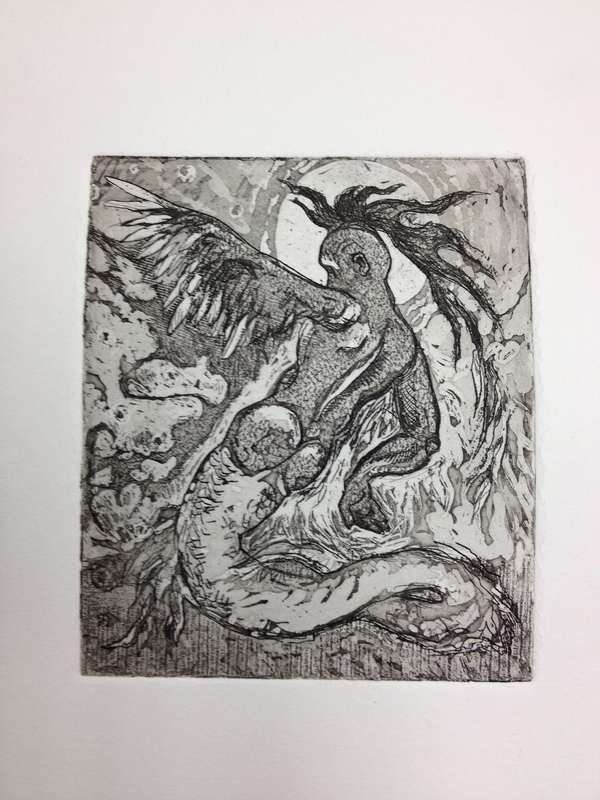 The following image is my first complete print, which consists of three distinct processes: hardline etching, soft ground texture and aqua/mezzotint. 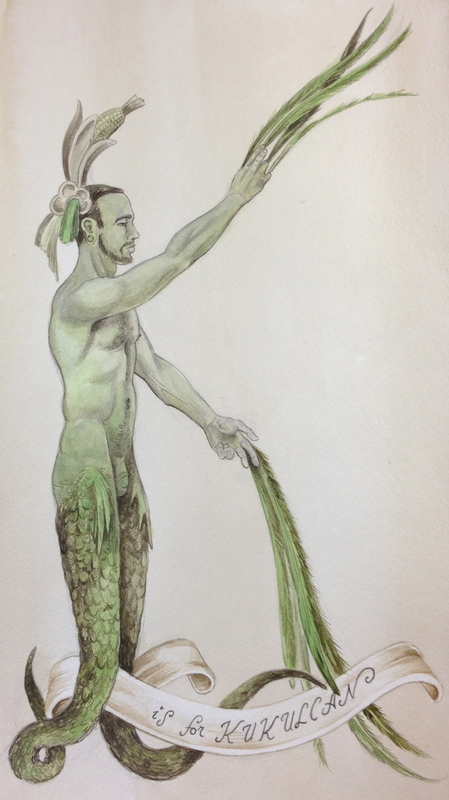 Predictably I have chosen my beloved Quetzalcoatl sowing his seed (naughty innuendo intentional) . First off, please understand I am still trying to master the most basictechniques; my stylus slips all over the zinc plate, my hand is unsteady and insecure, this clumsiness is apparent . But at this stage I really am trying to merely understand the process and the opportunities afforded by this new medium. The first stage of this print is hardline etching, pretty basic ; you press your stylus into a plate prepared with a base coat of hard asphaltum. Warm the wax on a giant hotplate, you roll it out, cool it and presto, a lovely surface to doodle upon. Unfortunately i have yet to master line control on this slippery surface. The second plate, adds texture and mood (or so I am told), frankly it is my least favorite stage. I prefer creating texture by hand. In this assignment I was instructed to press textured material into the plate which had been prepared with a softer ground of asphaltum than we had used for the hardline step. I chose, given the print’s very small size, wisps of broken cheesecloth and snippets of an ungodly 70’s textured wallpaper. 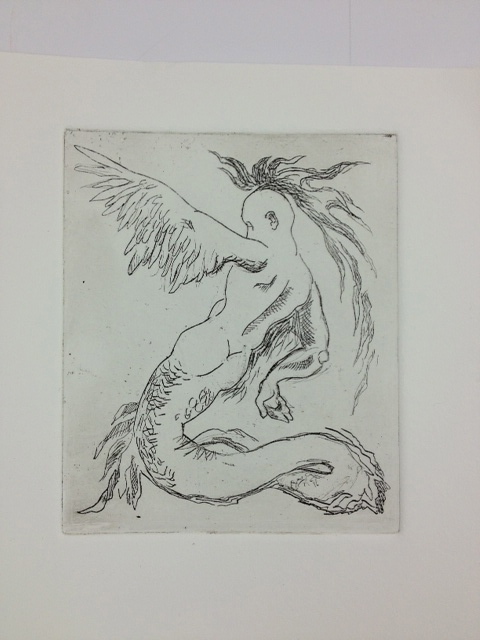 The third plate, which was to be our last, was aquatint, a variation on mezzotint (made famous by Goya). This was the most challenging step, values are determined by timed soaks in an acid bath. Having first fashioned (a time consuming) value chart , I had a sense of how to achieve the values I sought; or so I thought. Unfortunately my timing was off, I hadn’t created any blacks; a problem in that I wanted them, and more importantly the assignment demanded them. Back to the acid bath, blocking out the areas I wished to keep with a material called Stop Out ; then with careful timing, seeking to attain my goal of a richer black foreground. I achieved what I sought, I would make changes if I could have better predicted the outcome, but I am pleased that I am beginning to better understand the complexities and opportunities of etching. My appreciation for my own collection of 18th and 19th century engravings and etchings has soared beyond mere aesthetic appreciation ; what was accomplished by these past masters is technically astounding. A technique I was eager to play with was drypoint. 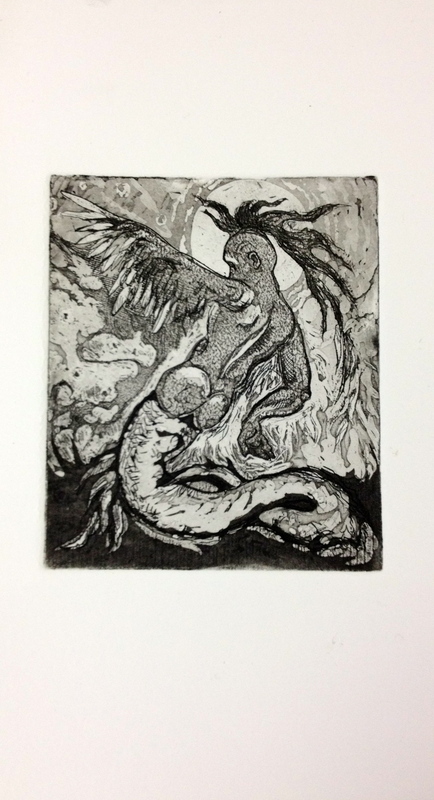 I have a few drypoint prints in my collection, I love the evocative smudgy quality of the images. Rembrandt of course made the technique famous, but others have mastered it as well. It turns out (thus far) to be my favorite technique. 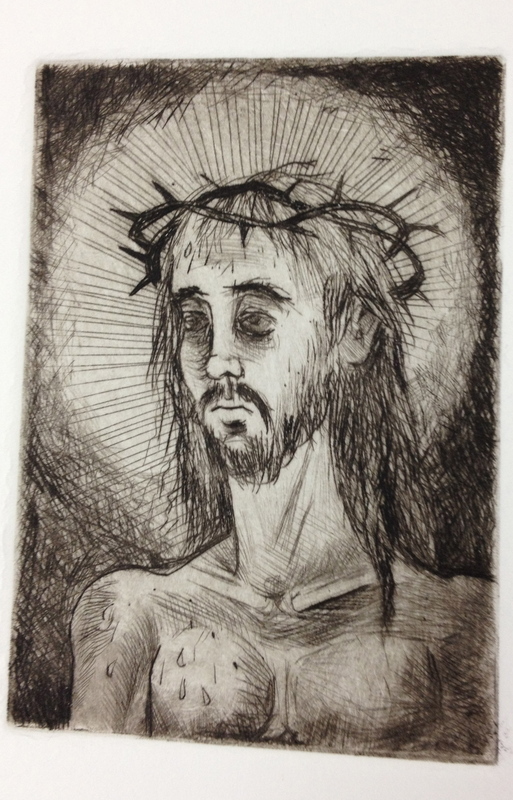 It also proves to be the most challenging, this little (3 by 4 inches)Ecce Homo is my first incredibly naive attempt. It is a brutally ugly image, I’m frankly embarrassed by it; but Clive has encouraged me to revel in the process. So here is what reveling in the process looks like. Tomorrow we start a new process, soft ground etching. 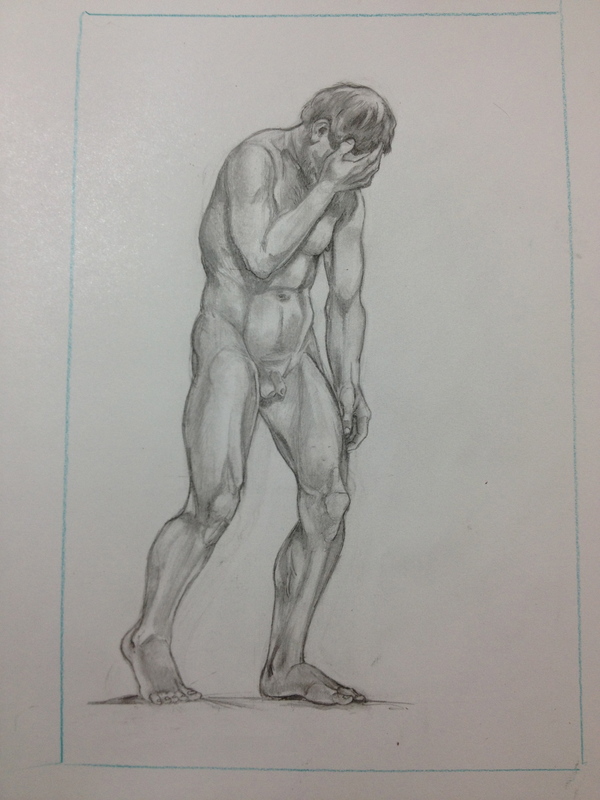 It is a process my insructor believes offers artists the freedom drawing affords. In anticipation I have put together this finished drawing of Cain. I understand the final image will not retain the precision, but I like to work out all details BEFORE facing an acid bath. I will post the result and perhaps some of the process when I am finished.